MISS MULTIVERSE AUSTRALIA 2019 - MODEL CONTEST & REALITY TV SHOW IS NOW ACCEPTING ENTRIES! Miss Multiverse is a high-end model contest with a reality TV show that follows the journey from beginning to end. It is a mix between "Next Top Model", "The Apprentice" and "Survivor". You can see photos and videos on our social media pages of some of what we did in 2017 and 2018. This will give you a good indication of what we are all about. Some previous episodes from the International Show is available online if you search for it. Australian episodes are not released online yet as it has to finish airing first. This competition is not for the faint-hearted or lazy. With tests, challenges and eliminations, only the best of the best will be left standing. We are looking for ladies who are not only models but also sophisticated, educated and has good social, interpersonal and emotional intelligence, live a healthy and fit lifestyle, and much more. - Education: higher level education, minimum college is required. - Experience: must have experience with modelling/ catwalk. - Fitness level: fit with great toned bikini body. - Relationship Status: can be single, married, divorced, widowed, allowed to have children. - Language: understanding and speaking English. - Profile: good moral standards and outstanding social skills. 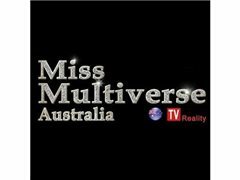 Additional rules and regulations related to the TV program will be provided when the applicant is accepted as a Miss Multiverse AUS model. The show follows the beautiful models on their journey of self-discovery, ups and downs. with many amazing and fun activities and experiences, there will never be a dull moment. From physical challenges, modelling challenges, business challenges, adventures and glamour, and all in between. The journey of all National and International finalists will be televised in the Miss Multiverse reality TV series (Australian and international versions). - There is no entry fee. - All flights, accommodation, meals and activities are paid for during the national and international contests. The only expense you will have is $100 for the sash, admin and postage fee. (We charge this fee because many girls are not committed, and we end up sending hundreds of sashes to girls who get cold feet. This is just a way to separate those who are serious from those who are not). We are not an agency and we do not want to be one. So if you have an agent, we do not want to interfere with the work they are doing with you, so we do not tie you down for anything or in any contracts. We only expect you to be there on the dates of all the national or international finals. We are happy to chat to any agents to answer any questions.